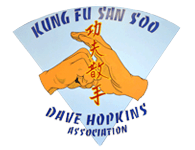 Dave Hopkins' Kung Fu San Soo offers classes in one of the most complete and effective Martial Arts and Self Defense systems in the world: Brazilian Jiu Jitsu. Our Brazilian Jiu Jitsu instructor, Master Dave Hopkins, began his training with the Machado Brothers 20 years ago, and has since then offered Brazilian Jiu Jitsu classes at his school. 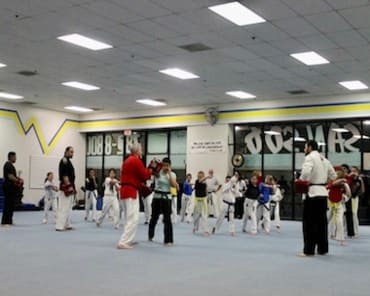 Our passionate and professional Jiu Jitsu instructors teach our students the basic skills up to expert level techniques as they gain confidence in their abilities and improved self-esteem. Get On The Mat With Riverside Brazilian Jiu Jitsu Classes From Dave Hopkins' Kung Fu San Soo! No matter your skills level, Dave Hopkins' Brazilian Jiu Jitsu classes have tailored lessons to our students so they can tackle and achieve any goal they've set. Not only will our Brazilian Jiu Jitsu program in Riverside get you into amazing shape, but also increase your flexibility and core strength. You'll lose weight and burn off stress without slaving away in a gym. Jiu Jitsu is one of the most effective self-defense martial arts because it allows for smaller opponents to use leverage and grappling to subdue a bigger, more powerful opponent. Fill out the form on the side of this page to get all the information you need to get fit and protected with Dave Hopkins' Brazilian Jiu Jitsu!